Ice cream is a good idea anytime of the year but it tastes even better when the thermometer says summer’s on the way! 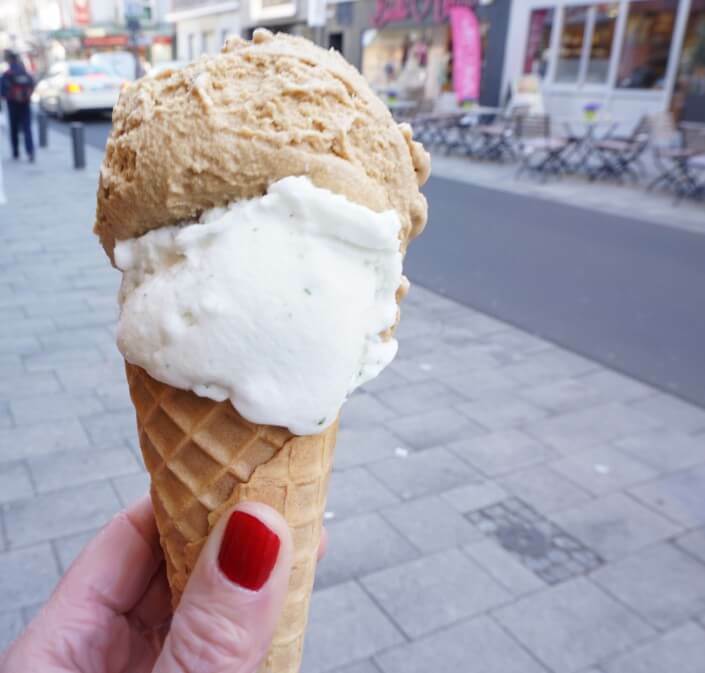 There are lots of good places to get an ice cream in Cologne but these are my five favourite artisan ice cream shops. I particularly like the fact that they use high-quality ingredients – with no artificial additives – and their quirky atmospheres. 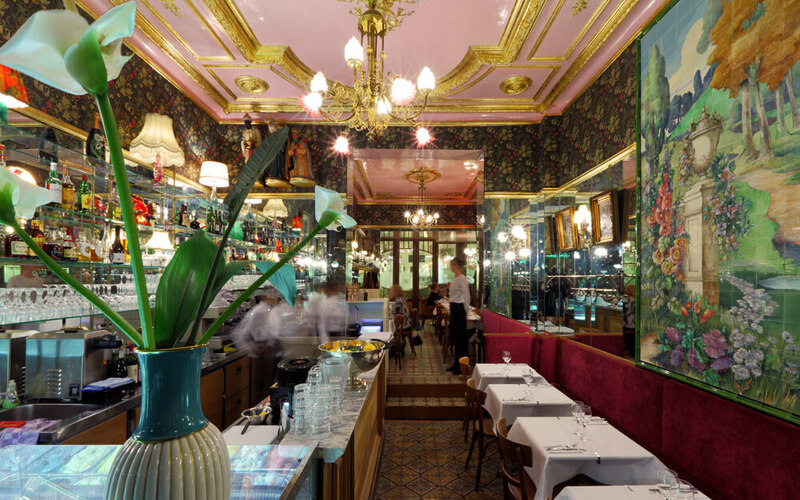 Since 2013, Bar Schmitz in the Belgian Quarter has been the place for ice cream junkies to go to get their daily fix of freshly made, completely organic ice cream. The dairy ice cream range includes an excellent poppyseed confection and caramel & fleur de sel flavour. They also have Cologne’s largest selection of lactose-free sorbets – my favourites are red currant and rhubarb & vanilla, really refreshing! For the more adventurous, there’s green tea flavour, cheesecake au citron and Florentine caramel. If the weather’s nice, grab a seat outside and watch life go by on Aachener Straße – the perfect way to while away your time. Incidentally, Bar Schmitz’s cocktail creations are also made with their own ice cream. So fans of ice cream can indulge – in solid or liquid form – until late in the evening! Miki Staffel, who launched Die Eisdielerin ice cream shop in the Ehrenfeld district at the end of 2015, likes to use local ingredients as far as possible. 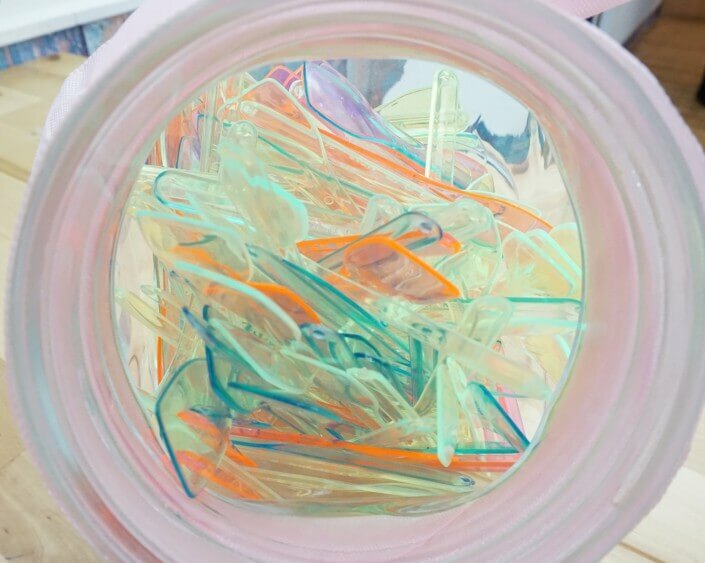 Almost everything is made in the shop’s own ice cream lab – you can even watch it being made! The flavours range from the traditional to the unusual. 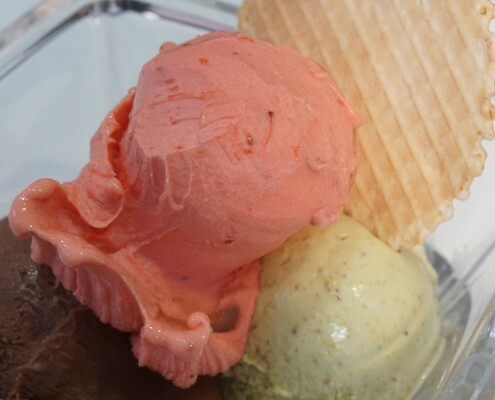 Particular highlights among the wide selection of sorbets are pear & tarragon and peach & lemon thyme – divine! Two of the most popular dairy ice cream flavours are chai latte and rice pudding & cinnamon. 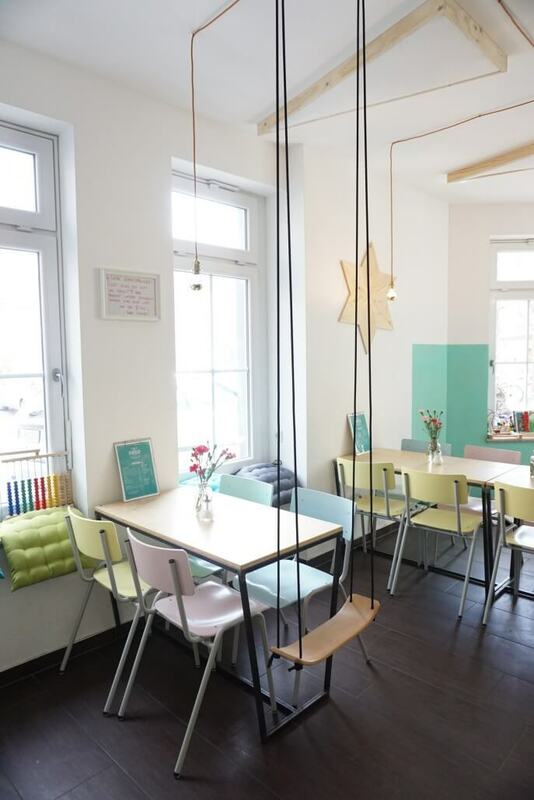 If you’ve got time to sit down for your ice cream, there are brightly coloured seats outside the shop whilst the inside is a wonderful blend of industrial charm and coffee house atmosphere. 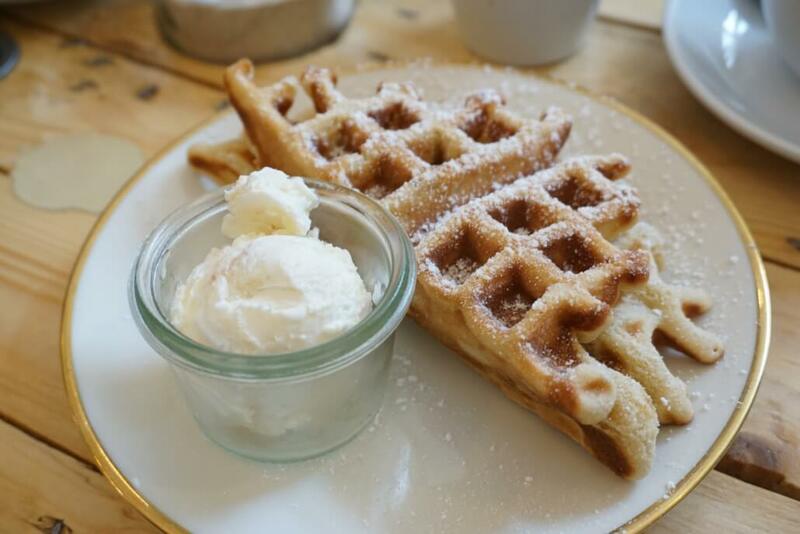 Apart from ice cream, Die Eisdielerin also offers sweet or savoury (mostly vegan) “Staffel-Waffel” waffles all year round. The great thing about Eisfeld, which opened its doors in the Ehrenfeld in August 2015, is its small but exquisite selection of ice cream, which changes every fortnight. 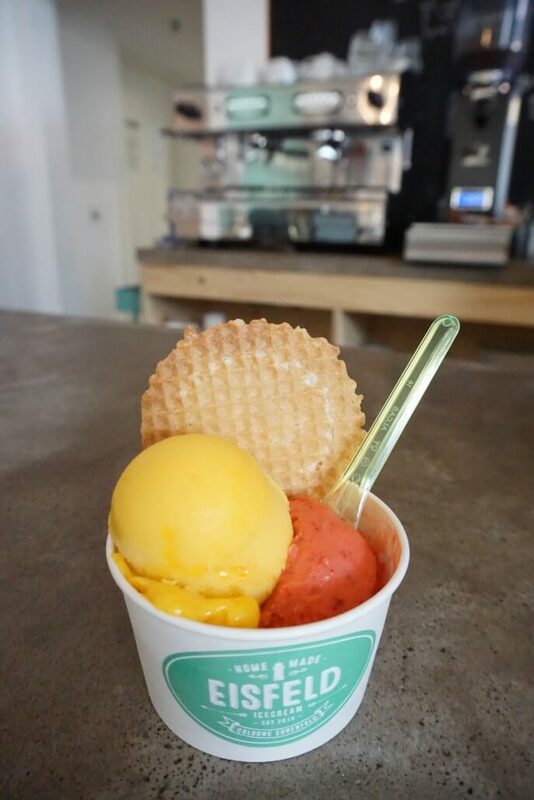 There are always seven vegan flavours (fruit sorbets) and seven milk-based ones. The team are constantly coming up with new creations, including a pineapple, pomegranate and sea buckthorn sorbet (fantastically fruity) or combinations such as buttermilk & lemon, blueberry & sour cream and poppyseed & cream (incredibly creamy). As if that weren’t enough, Eisfeld also has home-made cakes (some of which are gluten-free) all year round and a range of coffee drinks. There are special mini cornets and scoops for children to increase their chances of being able to try everything! The lovingly decorated interior also has something special to offer – swings at the end of some of the tables so you really can release your inner child as you take it easy and enjoy your ice cream! 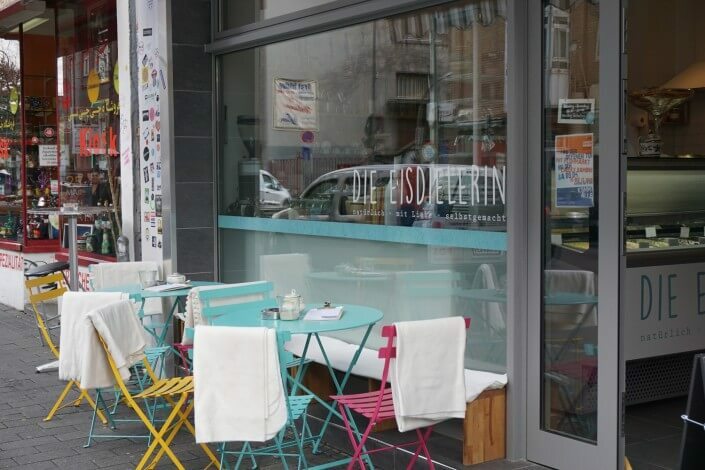 Since 2012, ice cream lovers have been flocking to this little ice cream parlour on Severinstraße every year from March/April to September/October. The owners, Flavia and Stefano, who speak a wonderful mixture of German, English and Italian, like to try out the most amazing ideas. With bergamot, pear & white wine, strawberry & balsamic vinegar or even gorgonzola – there really is something for everyone. And if you’re not sure, there are tasting spoons to try before you dig into one of the good-sized portions. My favourites this time were coffee and lemon & mint – simply delicious! 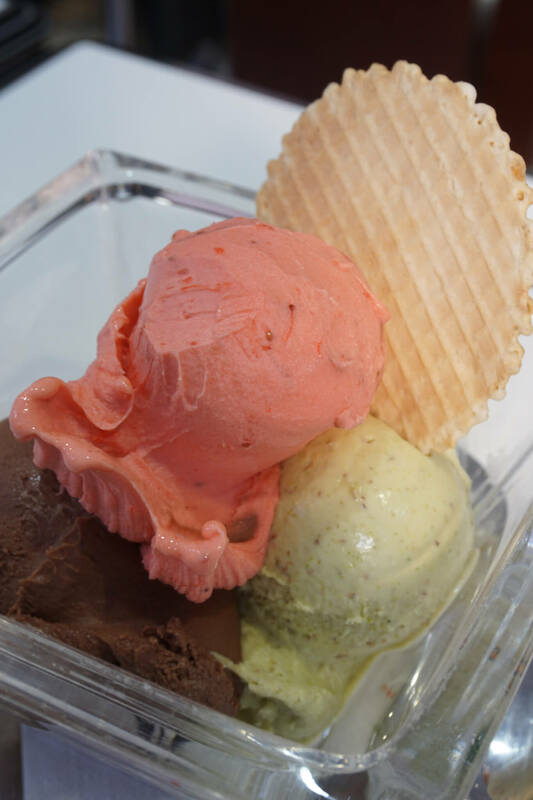 Vegans can feast on the fruit sorbets plus vegan chocolate and soya & stracciatella ice cream. In fact, even the cornets are vegan! 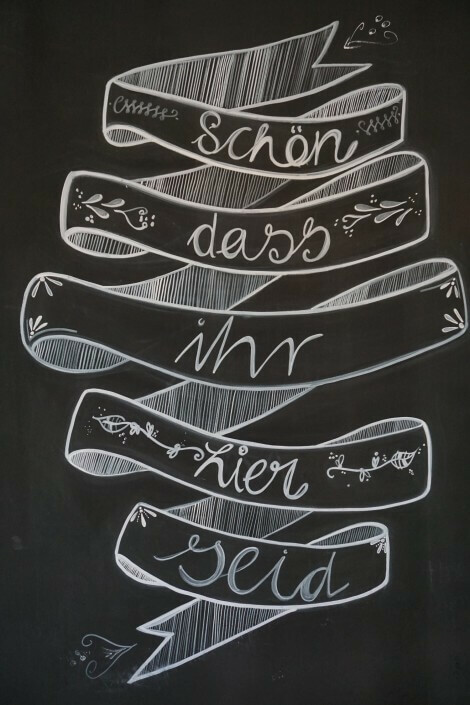 If you’re looking to pay Gea a visit, beware that it’s closed on Fridays but you can guess where Cologne’s ice cream lovers head on Mondays when lots of other ice cream shops are closed!